United Way awards East Hampton Schools! 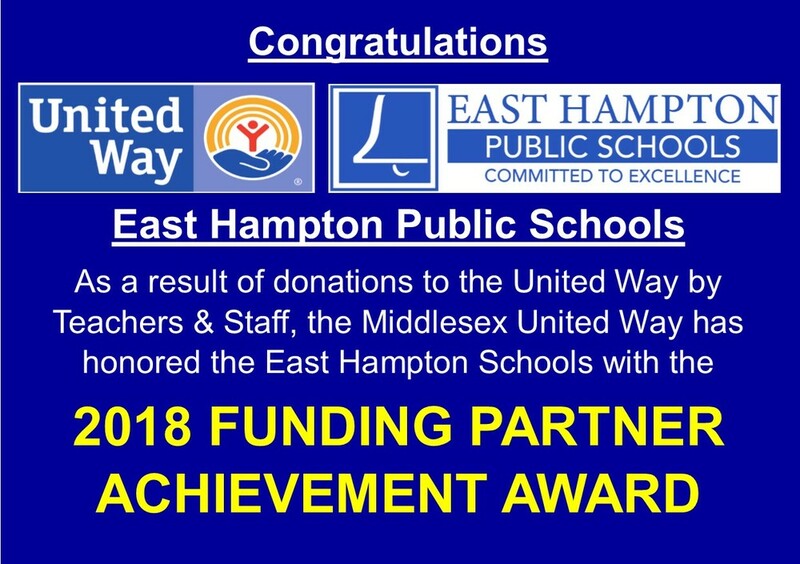 Congratulations and THANK YOU to the Teachers and Staff members of the East Hampton Public Schools for your generosity to the Middlesex United Way resulting in recognition at the annual Campaign Awards Breakfast on May 8. The United Way is an important cause as the dollars donated stay local. THANK YOU Teachers and Staff for setting a high bar for businesses and school districts as we look to take care of each other! A special shout out to Linda Collins who coordinates the annual giving campaign for the schools!